At the Pew Law Center we understand that many of life's decisions may feel and can be monumental. Whether you are stressed out by crushing debt, going up against the government regarding taxes or penalties owed, a business owner trying to navigate our legal system while trying to make a profit, protecting your assets against frivolous lawsuits, or planning to take care of your family if something were ever to happen to you, we are here to help and guide you through these difficult and important matters...YOU ARE NOT ALONE! Call (480)745-1770 today for your FREE Bankruptcy Consultation! Here are 11 reasons why you should call the Pew Law Center today: 1. We have helped over 2,000 people file for bankruptcy. This means we have the experience to help you through any situation, no matter how complicated. Many attorneys are just getting into bankruptcy and often they have not learned all the intricacies of how to help someone take maximum advantage of the protection offered by bankruptcy. When it comes to complicated situations, we have seen it all! 2. We have helped our clients eliminate over $100 Million in debt. We have worked with clients who only have several thousand in debt to small business owners and executives who are millions of dollars in debt. If debt elimination is your goal, we are the perfect law firm for you. 3. We will create a customized Pew Law Center (PLC) Bankruptcy Blueprint just for you! We are the only bankruptcy law firm in Arizona that gives each client a customized PLC Bankruptcy Blueprint. Unlike other law firms that offer a one size fits all approach, PLC customizes each solution to meet your specific needs 4. We offer a Free Consultation to every person who wants to discuss their financial options. There is no cost to setting up an appointment and coming in to our office. 5. When you come in you will be able to speak directly with an attorney. At some law firms you are only a number and they refuse to let you talk with an attorney. Remember, only an attorney can give you legal advice about your rights and options. 6. We offer convenient evening and weekend appointments. Many people work during the day so we are as flexible as possible and are open late every day of the week and also open on Saturdays. 7. All of our bankruptcy fees are flat rate. 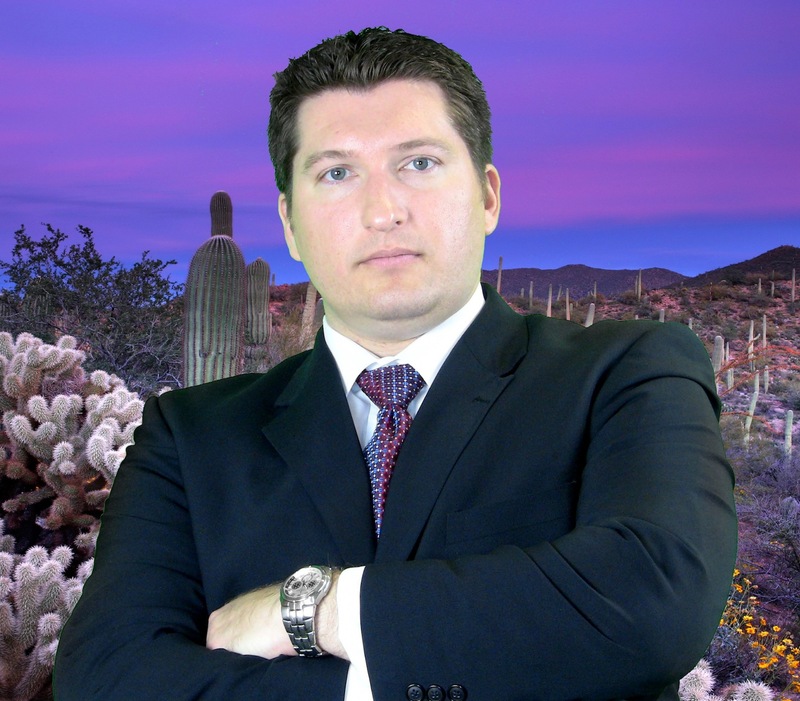 Some of the well-known bankruptcy attorneys in Arizona charge hourly fees. That's so old fashioned. You don't want to be charged every time your attorney answers the phone or sends you an email. In our opinion that's ridiculous and we have chosen not to do business like that! All of our bankruptcy fees are flat amounts. You will know exactly how much it will cost you before you finish the appointment. 8. We offer flexible payment schedules for any budget. While some of our clients decide to pay up front, most of our clients are on payment plans. We offer a variety of flexible payment plans that will fit any budget. 9. We have a trusted team of bankruptcy specialists. Here at the PLC we have an excellent staff filled with people very knowledgeable about bankruptcy and tax. They love to answer all your questions and come up with creative solutions to your toughest problems. 10. We focus exclusively on debt relief. We handle both Bankruptcy and Tax related cases. Why hire a Phoenix attorney who only does bankruptcy and does not know tax law? You could end up with a large tax bill for any debt that was forgiven by the banks or credit cards. We will make sure that does not happen to you. Also, there are some tax issues that bankruptcy will not solve! At PLC we know what those issues are and the ways to creatively solve them outside of filing bankruptcy. 11. We focus on exceptional customer service. While many law firms give lip service to this important principle, we actually live it! One of the biggest complaints about attorneys is they don't return client's phone calls. That will never happen at the Pew Law Center! Our commitment is to answer every client's phone call or voice mail the same day. If an attorney cannot call you right back, we will have one of our trusted staff members call you to assist. Test us out, call our office right now and leave a message (if we don't pick up) and see how fast we get back to you! Our Attorneys are experienced and able to give you the advice, compassion, and understanding that you need in making many of Life's decision. We will be with you throughout the entire process. The Pew Law Center. Arizona Bankruptcy Lawyers Bankruptcy - Learn More IRS Problems? Pew Law Center is here to help guide you through all of your bankruptcy and tax resolution needs. We help client's with tax and bankruptcy in Phoenix, Mesa, Tempe, Scottsdale, and all over the State. Are you struggling? Do you need Bankruptcy or Tax Help? At the Pew Law Center, we can help! Call (480) 745-1770 today! Mr. Pew is the Founding Partner of Pew Law Center. He is an experienced bankruptcy, tax, and transactional attorney. Mr. Pew is a native Arizonan and graduated from Arizona State University and from the Barrett’s Honors College with a major in Finance and a minor is Sociology. He was also nominated by his professors and peers for “Outstanding Graduating Senior”. Upon Graduation, Mr. Pew was recruited by IBM and relocated to Silicon Valley. He left his banking career at Bank One and his hometown for a new adventure. Working as a Financial Analyst, Mr. Pew controlled a Billion Dollar budget and was instrumental in saving IBM over $100 million Dollars in one year. Here he was deeply involved with business planning and contract analysis. Looking for the next challenge, Mr. Pew then went to law school in San Diego. He focused his education on business planning, tax, contracts, real estate, and estate planning. During law school, Mr. Pew served as president of the J. Reuben Clark Law Society and the Federalist Society. One of his presidential highlights was being invited to Washington D.C. as part of a Federalist Leadership Conference where he met Justice Clarence Thomas. While approaching graduation, Mr. Pew was selected for a highly competitive internship with Fisher Thurber in La Jolla, California. Upon Law School Graduation, Mr. Pew returned to Arizona and began working at a prestigious boutique law firm in the Camelback area. His legal practice consisted of estate planning, asset protection, and assisting small businesses. He then joined the Valley’s Largest Consumer Law Firm. Here Mr. Pew helped hundreds of people file for bankruptcy. Soon he began to be recognized for his understanding of bankruptcy law and his creative nature, resulting in being assigned the firm’s more difficult cases. Thereafter, Mr. Pew became Partner in an East Valley law firm in Mesa. Here he built a thriving Bankruptcy practice coupled with an aggressive tax representation. However, Mr. Pew had a vision of a premier, client oriented law firm. Mr. Pew then founded Pew Law Center with a mission statement directed at exceeding client expectations and stellar legal representation. Mr. Pew’s concern and compassion for his clients adds to the excellent service and standards at Pew Law Center. He has worked tirelessly in order to produce fantastic results and outcomes for the firm’s clients. Given his diverse background and experience, Mr. Pew provides real world answers and practical solutions. Mr. Pew continues to practice law because of the difference he can make in people’s lives, especially during their darkest hours.